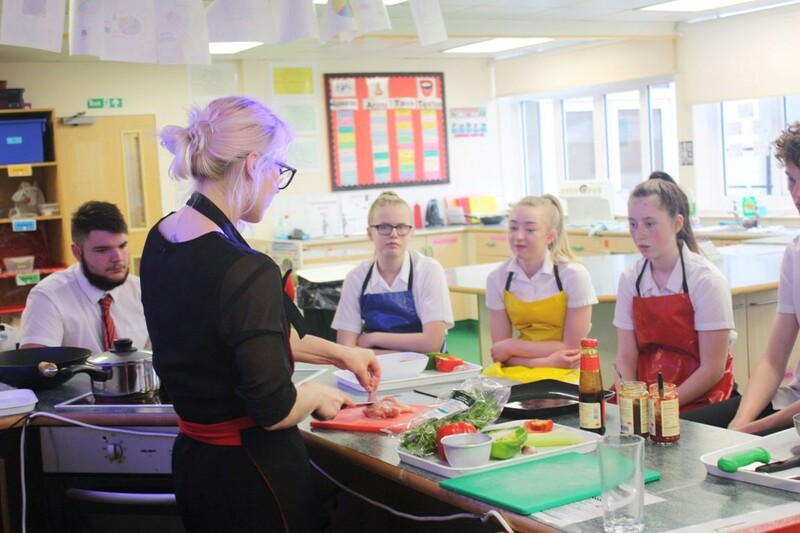 Year 8 and Year 10 Food and Nutrition students had such a great day on Friday 27th April with the Chinese Ambassadors from Ming-Ai (London) Institute! 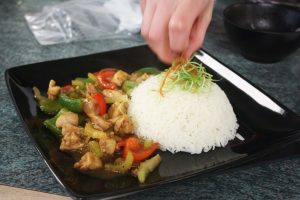 Students from both classes got to discover how easy it is to make your own balanced Chinese meal and mastered the classic Chinese dish, Kung Pao Chicken (宫保鸡丁). Plus the Year 10 GCSE students worked on their presentation skills, using all kinds of garnishes and plating up their steamed rice creatively.